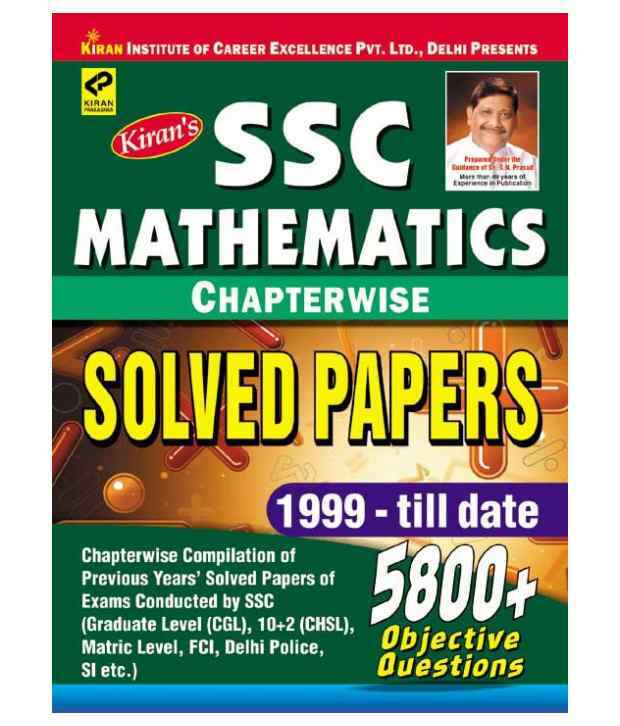 Today we are sharing Kiran SSC Mathematics chapterwise solved papers 1999 - till date. These is one of the best books for ssc cgl/chsl Maths. This is very useful for many other competitive examinations like SSC CGL, CHSL, Delhii police CPO, FCI SBI PO/Clerk, IBPS, LIC, SIDBI etc. 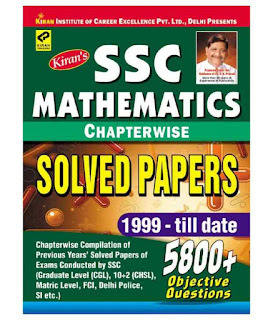 Name of Book: Kiran SSC Mathematics chapterwise solved papers 1999 - till date. Disclaimer: We have neither created these files nor uploaded, We shared link which is already available on Internet, if anyone has any objection then kindly tell us to request removal of the link.